The binagoongang baboy complete with red chili and coconut milk. 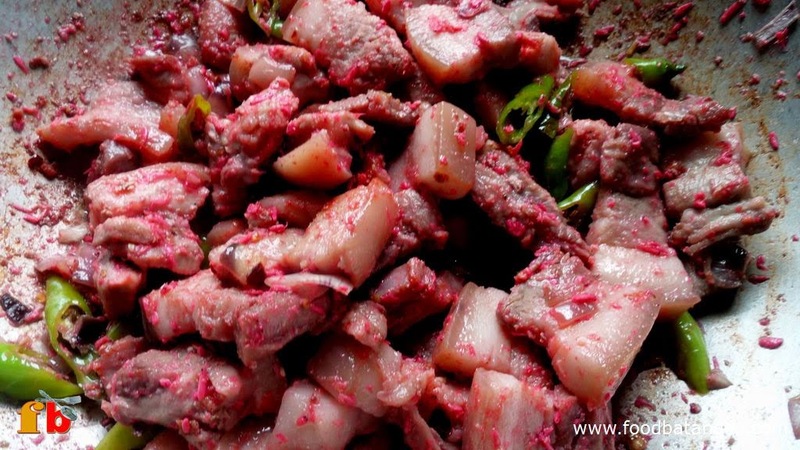 The binagoongang baboy is one traditional Filipino dish that is so easy to make even those with little cooking experience can accomplish it with no trouble at all. Moreover, it is a delicious dish that can be cooked quickly. This recipe gives instructions for two variants of this dish: one with coconut milk and the version without. Either way is just as good and boils down to a matter of personal preference. 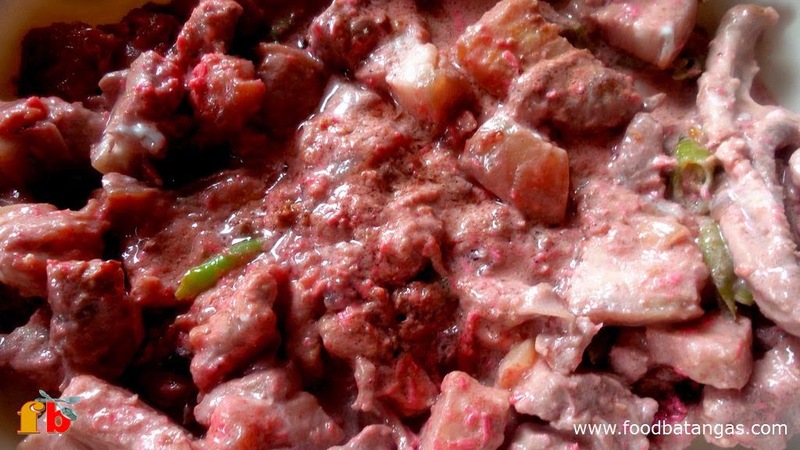 This version of the binagoongang baboy is ready to go even without the coconut milk. Place pork liempo and water in a wok or pan. Bring the water to a boil and simmer until all the water has evaporated and the lard starts to come out. Stir the pork until brown. Set the pork to one side and saute garlic and onion. Add shrimp paste and stir for a minute or two. Add finger chili and stir for a minute. At this point, the dish is really ready for serving so the next two numbers are optional. For those who want a spicier bite to this dish, the red chili may be added at the same time as the finger chili. Add the coconut milk and wait for it to boil. Simmer for a minute or two, stirring occasionally.